Cooke Fuels are offering extended discounted Red Diesel prices for ONE DAY ONLY. Did you miss our Black Friday sale? We want to make sure you have enough fuel for your machinery throughout the cold months. There is no better day to place your order your red diesel to keep your business moving. 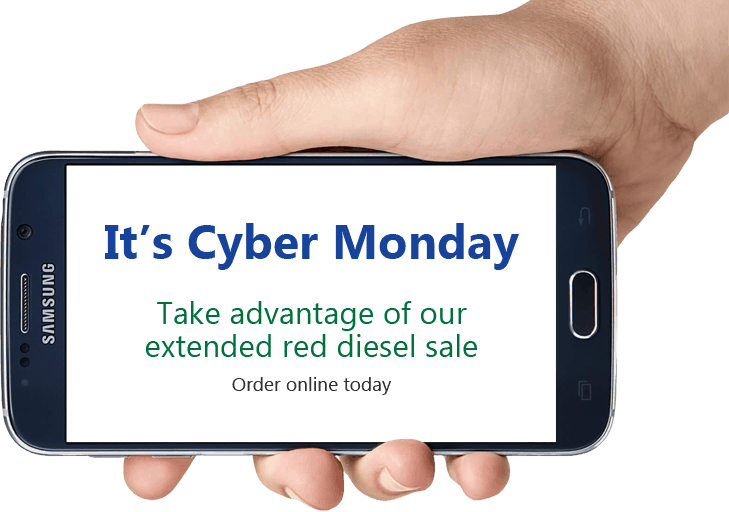 Order online now to take advantage of our extended limited offers on red diesel. Our Cyber Monday offers end today at 17:00 (26/11/18). With over 170 years’ experience delivering fuels and lubricants to customers across the UK, Cooke Fuels are one of the UK’s oldest and most well-known red diesel suppliers, so there’s no one more qualified to take care of your business’s gas oil needs. Call 01282 775431 to get the process started!